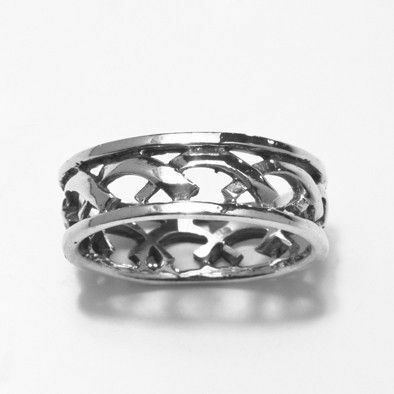 Let this Silver Ring Of Kisses send your message of Love. 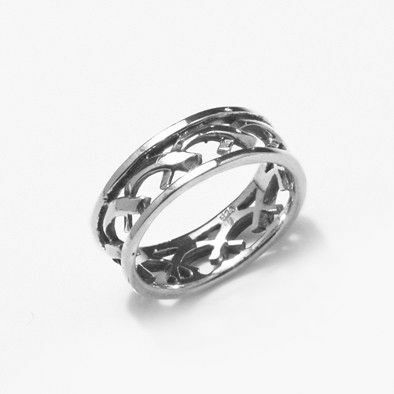 This contemporary unisextra .925 Sterling Silver ring has a dynamic design featuring a Celtic style band. Can be worn as a wedding band or as a dramatic right-hand ring. Band width measures 7mm (1/4").